One thing I’m loving at the moment is trying beauty brands from other countries. When it comes to make-up, I’m such a shameless addict that I will spend hours reading up on brands I’ve never heard of, and then making a list as long as my arm of their products I want to try. I’ll then move on to step two of my coveting, and watch an insane amount of YouTube videos on people trying the products and talking about them. This then increases my wish-list until its included practically everything that brand sells. Sorry, not sorry. So it was the fact that you could custom make your own Essential 8 kit and have everything you need in a portable and carry friendly way that first drew me to treStique. I’m a sucker for these things, plus I love the fact that these guys say their make-up is designed to enhance natural beauty and not just cover it up. I like that a lot. So with this in mind, it was time to give the treStique products a go with a view to giving their Essential 8 kit a new home here in the UK. First up was the Matte Colour & Shiny Balm Lip Crayon. Being a sucker for things that are cute and a bit different, I love this because it’s dual ended. One end is a matte lip colour and the other is a BB Lip Balm. I went for Nammos Pink (3) which is a hot fuchsia looking pink. I’ve talked before about not liking my matte lip products to be too matte (yes I know I’m hard to please!) 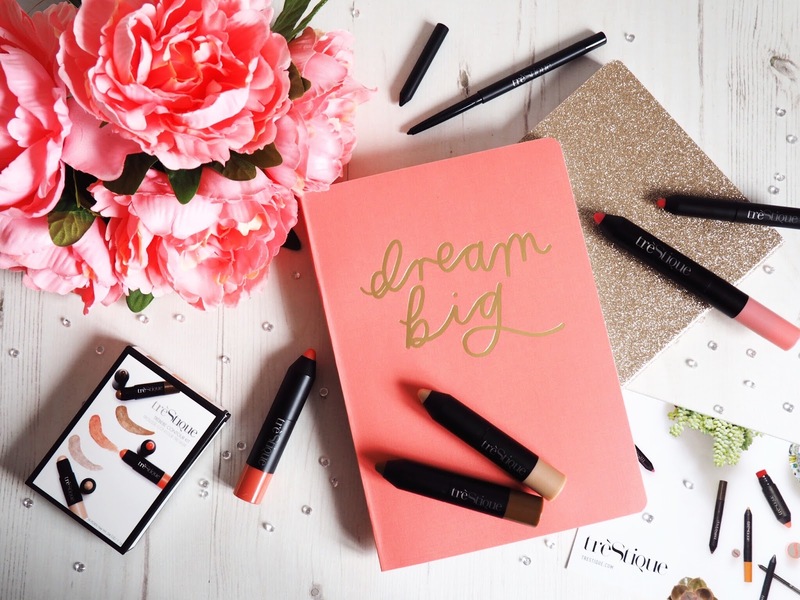 and this lovely and creamy pencil is the perfect balance between matte coverage and a natural finish. Basically, it doesn’t go to the matte extreme of making your lips look dry. Which means it’s also really comfortable to wear. The BB Balm is a matching shade and feels lovely when worn – really moisturising. You can either wear it underneath the lip colour as a primer, or over the top for a more glossy finish. I like to do both as it gives my lips a good base and also stops the colour being too matte. But mostly I wear it over the top. 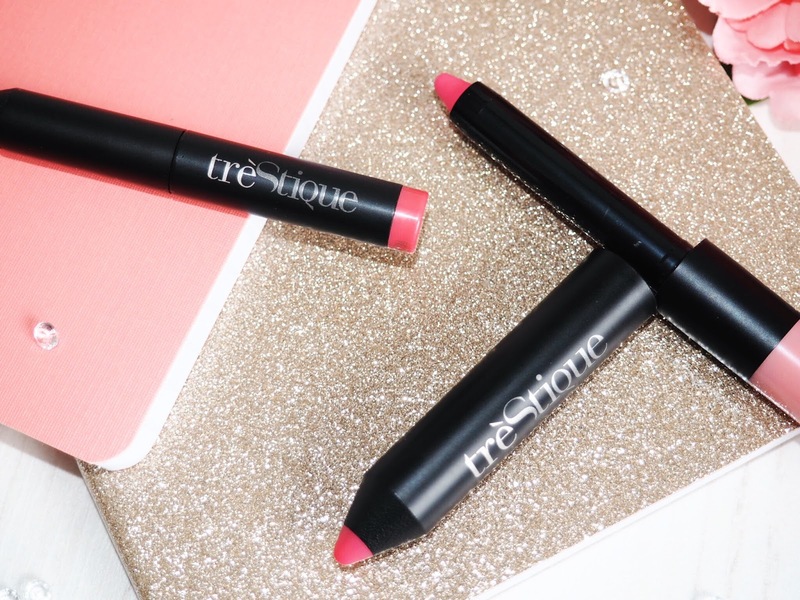 This duo lip crayon is great for giving the colour intensity of a matte lip and the BB Lip Balm adds a glossy over coat, which is exactly the style of lip colour I like… The gloss adds dimension – win/win. The next item I tried was the Line, Sharpen & Smudge Eye Pencil. Eyeliner is a staple make-up product for me. I won’t leave the house without eyeliner, so I’m forever trying new pencils to find a great one. This one is good because the pencil formula goes on like a liquid eyeliner but provides the forgiveness of a pencil, which means it’s easy for me to create the smokey-eye look I love. 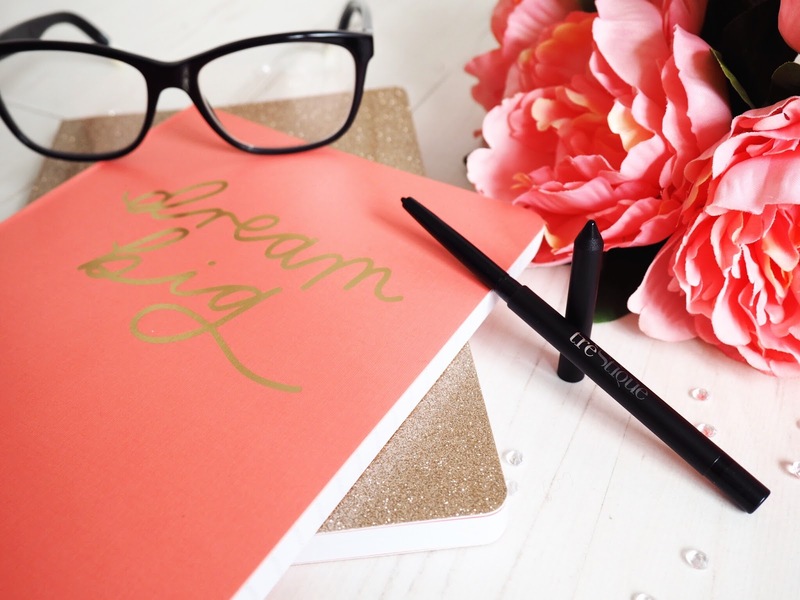 The Eye Pencil is dual ended too and comes with a 2-in-1 smudger for blending and creating that smokey eye look. The texture is lovely and creamy and it’s got some serious staying power. Because I wear my eyeliner on my inner eye lid (yes, I confess, I’m one of those girls who actually puts it above her lashes on the lower lid) I always have to re-touch my eyeliner through the day. This lasts from my morning make-up application right through to lunch before needing a re-touch. Which is far better than a lot of other brands I’ve tried. If you don’t like the bold, black look then you could easily get away without reapplying, and it would last all day. I just like mine to look like I’ve just applied it – even when I haven’t! 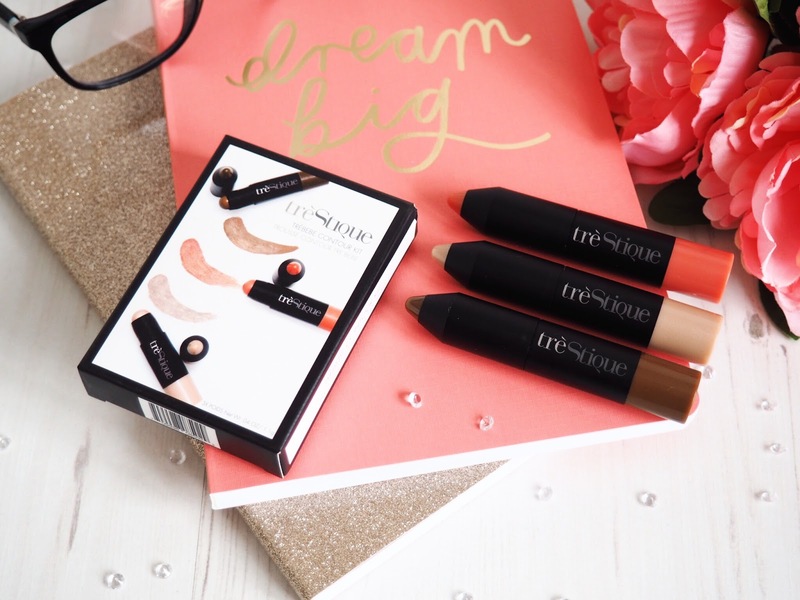 Next was the brand new Trebebe Contour Kit – and you guys know I love my contouring! 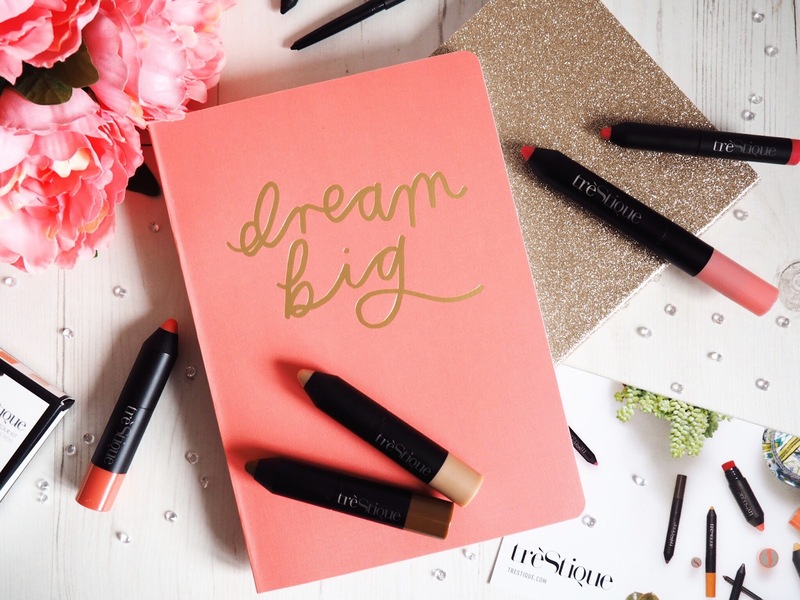 This kit has three chubby stick style pencils to create a contoured look that everyone can enjoy. There’s a contour stick, a highlight and a blush stick and you’re supposed to wear them all together but you could absolutely wear them alone if you only wanted to use only one of them. 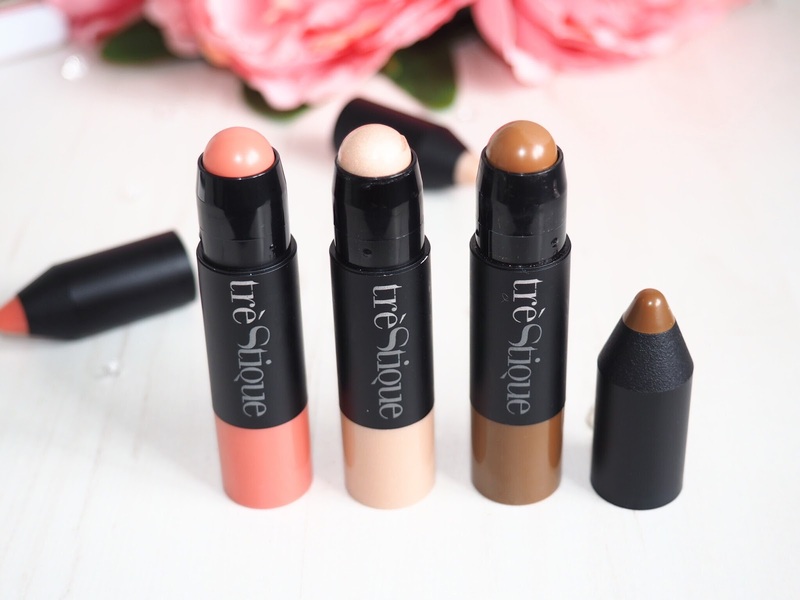 The contour itself is a matte crayon that’s quite bronze in colour – meaning it’s great for pale skin like mine. It glides on really easily and has a creamy texture that has a powder like finish – blend quickly after applying for best results. 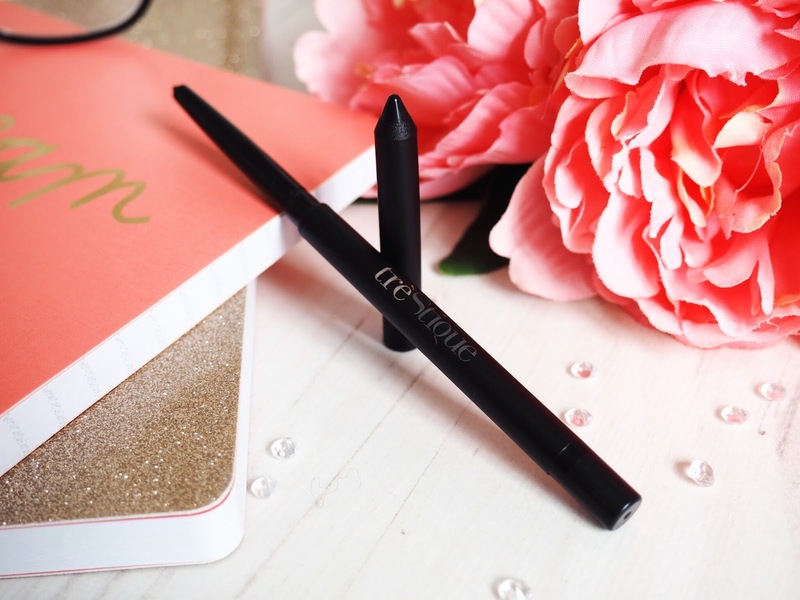 All the pencils are small and portable so this one is also great for contouring the sides of your nose and the spot above your lips – those smaller parts of your face that are usually quite hard to get to. I blend mine with a brush, but you can easily do it with your fingers. The highlighter pencil is beautiful. I love highlighters and this is so creamy and gentle. Very easy to use and apply and it’s not going to blind anyone with it’s shine – not a great look! There’s minimal shimmer in the shade, which I like. It sits on the skin and lightly catches the light, without it being caused by glitter overload – it’s a great everyday highlighter. The blush stick is also really cute because it’s matte. I love this. I was expecting it to be shimmery, but it’s not at all – it’s completely matte. Which is perfect for me because I have oily skin, I don’t like products to have too much shimmer or shine otherwise my face looks like an oil slick. Having a matte blush is great for this because I still get the hint of colour (it’s shade Bora Bora Coral) and yet can control my highlight with the highlight stick. Nothing worse than shimmer overload in my eyes! 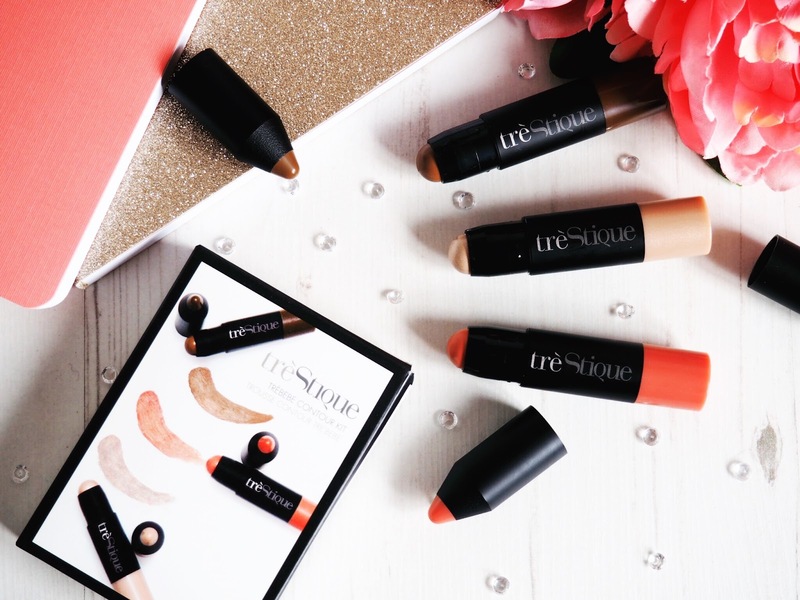 All the treStique products are great for getting make-up ready in a super speedy amount of time. Perfect for those delicate days, natural looks and the style we all love that highlights our natural beauty. These products are great for those who like the natural look, and the packaging means they’re also great for those who live busy lives and have to get ready and go in a very short space of time – Mums I’m talking to you! So far these products would all be in my Essential 8 Kit, and now I’m working on figuring out what else I’d add…probably some of their divine looking Shadow Crayons and their Perfect Multipurpose Highlight Stick sounds like another of their highlighters I’d love to try! Which of the treStique products would you like to try?